ID-Box has found an ergonomic, smart, simple, and practical solution that will make everyone happy : Babies as well as parents! It’s nickname: Doona! A car seat, a crib, and a stroller in only one solution. Donna was designed to provide parents a amazing and very safe mobility solution for their baby, and this as well as inside and outside of the car. Click Here To Buy It ! No need to clutter up your car trunk with a stroller. This 3 in 1 solution proposed by Donna will Freeing up space in it. Your baby’s car seat will never leave you so you will no longer have to put and remove the Car Seat from your car trunk to make space in your car. 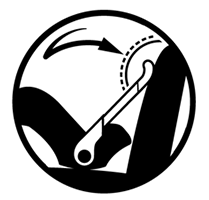 The Doona car seat has a special infant insert designed to provide support to your baby. Especially designed for newborns and developed by engineers supported by experts in medical experts and safety, the insert gives to your baby the baby's natural position in the womb of his mother. The materials are totally BABY-SAFE. All materials used to manufacture the Doona are carefully tested and approved in compliance with the strictest European standards and REACH, including SVHC (Substances of Very High Concern). The materials used are not harmful chemicals, they are also tested for their quality and durability to ensure the safe and continuous use of the Doona. Donna car seat is compliant with the highest safety standards. Doona passed a battery of tests and certifications.Doona has passed not only all mandatory compliance tests (required by law), but also ahead tests regarding the normative requirements. 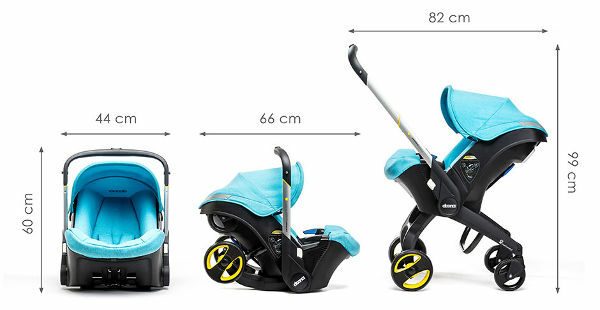 Doona is certified as a car seat, but also as a stroller and a cradle. Air traveling with children is a common practice. Experts agree that young children, retained their seats with a simple lap belt, or held in the arms of their parents, are the most dangerous passengers. 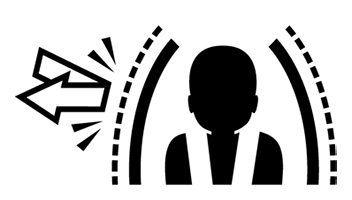 In case of theft with air holes, turbulence, or in case of emergency landings, the parent will not be able to retain the child. The safety’s flights Experts encourage parents to take the highest security solutions and use an approved car seat to restrain a child during the flight. Donna is approved for aircraft as well as in Europe and the United States (US Aircraft). Doona is one of the only solutions which is simultaneously compliant with the quality and safety requirements of the following standards: ECE R44, EN12790, EN1888, ASTM F833, ASTMF2050, FMVSS213. 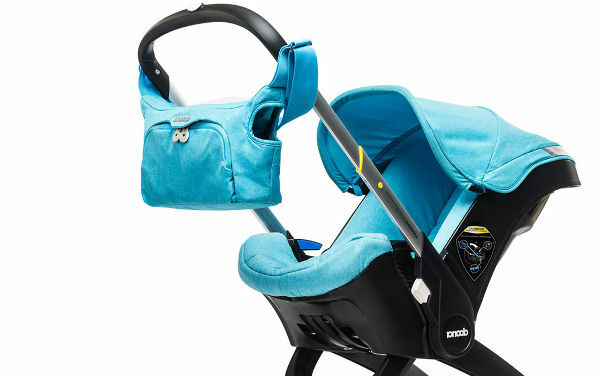 Unlike classic car seats, the unique structure of Doona can position the handle against the back seat of the car, thus providing an exceptional baby hand guard. In case of a collision, the Anti-Rebound handle will absorb all the impact and prevent the car seat Doona to swing back from the seat, and reducing the risk of injury. Its unique concept structured in double wall enables the folding of wheels into the body of Doona, and provides an additional benefit of safety. Both durable plastic layers absorb shocks. 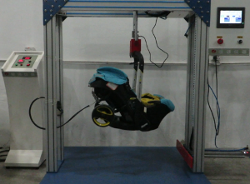 This solution increased protection for babies against side impact accident. A wide range of original accessories has been developed by Doona in the same spirit of innovation, simplicity, security to help parents in their daily lives. How do you find Doona? Practice? Tell us in the comments please. 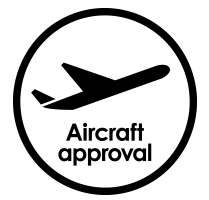 Share it without moderation: If this solution helped you it could help your friends ... Please leave a comment in the area below or use the Facebook comments, or Twitter or Google + button on the top left ... Enjoy!